Julie Larson-Green, the head of Microsoft's Windows division, is expected to be named the new head of the company's hardware division. The name Julie Larson-Green probably doesn't ring too many bells, but she's currently Microsoft's Corporate Vice President of Windows, responsible for "program management, design, research, development and testing across all international releases of Windows, Internet Explorer, Windows Services and Surface as well as Microsoft Hardware." But she may soon find herself filling a different role, prompted at least in part by the recent surprise departure of Xbox boss Don Mattrick. Larson-Green won't be assuming Mattrick's post as president of the company's Interactive Entertainment Business - that position is currently being filled on a temporary basis by CEO Steve Ballmer - but is instead expected to take over Microsoft's hardware division, which would include overseeing the development of the Xbox consoles. Prior to his departure, Mattrick was also being considered for the position. 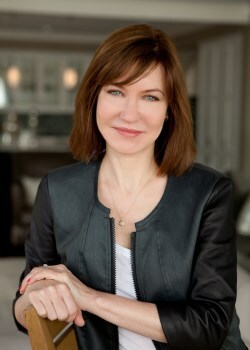 Larson-Green, who joined Microsoft in 1993, led the user interface design team for Microsoft Office XP, 2003 and 2007, and also served as the corporate vice president of Windows Experience for Windows 7, leading the design and development of the Windows 7 operating system. The restructuring that would see Larson-Green ascend Microsoft's hardware throne hasn't been finalized and CEO Steve Ballmer may make more changes before anything is made official. Microsoft is pushing hard to gain ground in the mobile and tablet market; the restructuring will see an increased focus on those areas and will also separate product engineering from other aspects of the business.